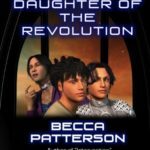 Becca Patterson writes Young Adult fiction in the realm of Science Fiction and Fantasy, and her works include Hero’s Call, Daughter of the Revolution, and Daughter of the Queen. We had time, recently, to “sit down” and do a quick little interview. I can’t think of a better way to kick off the new year than chatting with another author! MG: As a fellow author, I can’t imagine you not reading. How much do you read in your spare time, and who are some of your favorite authors? Then there’s Mercedes Lackey, Lyda Moorehouse, Michael Mirriam, Ash Litton, Patricia Briggs and Kristin Kathryn Rusch, all for different reasons. I scour other authors’ profiles for who they read. I say “it’s for when I run out of things to read.” but the reality is I’m never going to make it through my “to be read” pile. MG: What? Not me!? I know we’ve talked about it before, but what is the hardest thing about writing for you? The hardest part is sticking with one project all the way through. There is always the new idea that just wants to be started. So you think I’ll just write a couple of notes and then there’s that other idea just over there and another one beyond that and the next thing you know you’re in deep with no idea how you managed to open ten different projects and all you’ve done is start them all. So, then you have to drag yourself back to the first one, which isn’t all shiny and new anymore and finish it. That’s just getting through the first draft. Then you have to … edit it. Editing hurts. During the drafting process, you can pat yourself on the back and tell yourself how wonderful you are. But in editing you have to take off the rose-colored glasses and really look at what you wrote. What you actually wrote, bad spelling and all. After that come the critiques, and you have to acknowledge that you didn’t say what you think you said. At least you can fix it. That’s what the editing process is, fixing it. It’s hard, but at the end of it all, you have a book and someone reads it without looking for all the flaws. That makes it all worthwhile. MG: Writing is quite the process, isn’t it? How long on average does it take you to write a book? Every book is different, so very different it’s like learning to write all over again when you start a new one. And every time is different. A lot of it depends on what’s going on in real life. My fastest draft took just nine days. It was spring break, I was broke and my husband was out of town for the week. I had housework and writing. I put everything else on hold and powered through just to see if I could do it. 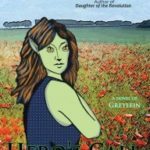 It was two years later before I finished editing Daughter of the Queen though. Daughter of the Revolution took twenty-five days (during NaNoWriMo) to get a complete draft and only a year and a half to edit. I have a whole list of books that are still waiting their turn to be edited. Most of my drafts come in around thirty days. I don’t like to spend too much time between the beginning and the end because so much can change that would influence how I tell the story. MG: What inspires you to get out of bed each day? My cats. They insist that they need to have a turn in the middle of the bed and that means I have to get up. On a more serious note, I have ideas that need to live. Not just stories either. There’s the garden, and my blog, and I have students who need me to get them through. There is just so much to do. Oh yeah, and I have to get the laundry done. Somedays though, I get up because I’m hungry. MG: Yeah, that food thing can certainly be a motivator. Give us a little insight into Emalynn. What does she do that is so special? Emalynn has all kinds of inner strength. She grew up in the care of a mercenary who never hid the fact that Emalynn had been kidnapped, and if Baba (the Mercenary) ever found the people who hired her, she’d hand Emalynn over without a second thought. There wasn’t money for babysitters, so Emalynn tagged along on smuggling runs and whatever other jobs Baba could come up with. Baba wasn’t heartless, and cared for Emalynn as best she could, teaching her self defence, and “home schooling” her when they weren’t able to enroll Emalynn in regular schools so she wouldn’t fall behind. Baba always told Emalynn to be smart, learn everything you can from anywhere you can and become a citizen. Emalynn took that to heart. She looks everywhere for lessons and learns as much as she can about anything and everything. No one can tell her what her limits are. Nor can they tell her not to be compassionate for the unfortunate ones. One lesson Baba never intended to teach, but drove home harder than anything else, was just how unfair the universe could be. For Emalynn that meant it was her responsibility to even the odds whenever she could. So when Baba is murdered, Emalynn jumps into action to protect herself from that same fate, and takes up the task of finding the people who held the contract Baba never got paid for. 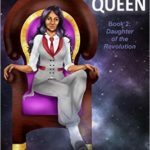 She brings all the wit and wisdom required of life in the seedy underbellies to bear when she finds herself standing between the Prince of the Galaxy and his would-be assassin. When they figure out that they are actually twins, she uses that against her enemies and does the impossible to get them both home safe. MG: Wow! Sounds like she’s had to make some life-choices at an early age! I think that covers a decent array of writerly topics for this week! Thanks so much, Becca, for “sitting down” with me today!